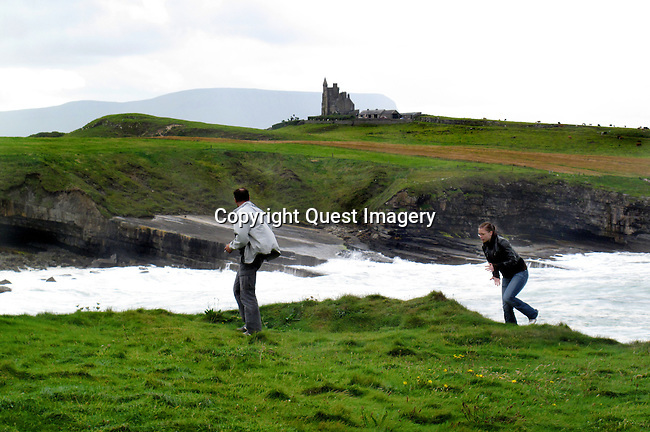 Classiebawn Castle on Mullaghmore Head at Donegal Bay in County Sligo, Ireland. Mullaghmore Head at Donegal Bay is a noted holiday destination, characterised by ocean views and a skyline dominated by the monolithic shape of Ben Bulben mountain. Mullaghmore Head holds a reputation for being one of the best surfing destinations in Ireland, and Europe. It has become known especially for big-wave surfing, ranked as one of the best locations in the world to catch large swells.